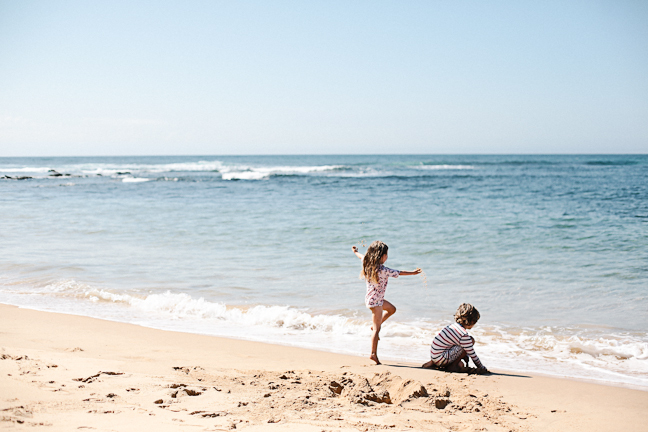 Beach visits are what childhood memories are made of so next time you’re by the ocean make sure you take your camera. 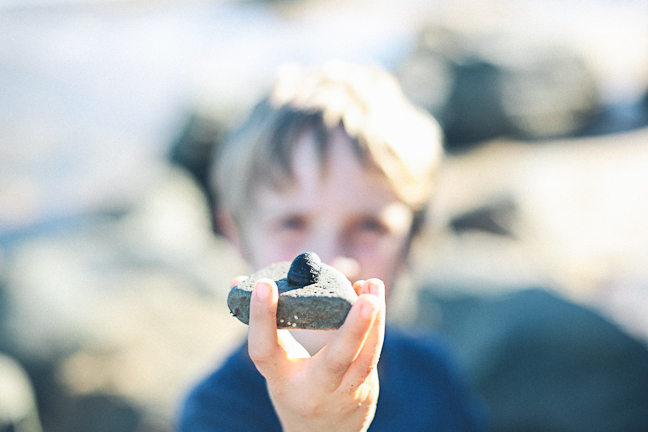 No matter the season, photos of the family at the beach can make for some pretty special keepsakes. Granted, sometimes the sand and the glare and the sheer amount of stuff needed for a beach trip is enough to make you want to leave the camera at home. But once in a while, make a habit of packing the camera and documenting your day – you won’t regret it! Health professionals advise us to stay out of the sun between 11 – 3 and many photographers would agree. Why? Basically when the sun is at its brightest it’s difficult to get a flattering shot – there’s a lot of glare, everyone is squinting, there will be very little detail (everything will look very white) and the shadows will be harsh. But in the early morning and late afternoon the sun is a bit more magical – it’s softer, more golden, and it looks far prettier in photos. So how do you get great pics of the kids at the beach? It’s easy! 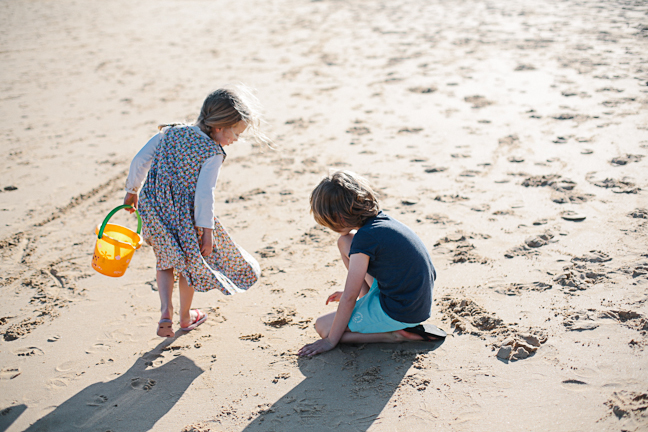 Let them play – keeping the camera (or your phone) a secret is a good way of capturing an “in the moment” photo. Don’t attract their attention or ask for a smile…just stand back and snap away. Make sure you crouch down to their level so if they’re playing in the sand get down on your knees and shoot from there. Go for a walk – walking as a family is a great way to spend some quality time together, to chat about what’s been going on (especially with older kids!) and it presents an ideal opportunity for photos. 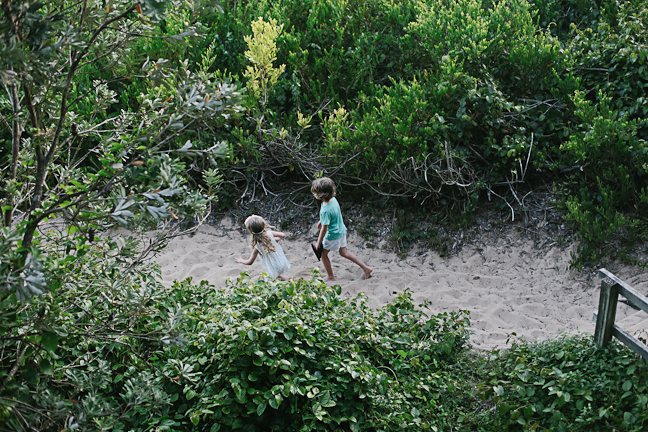 Once everyone is happily on their way, walk ahead or stay behind and photograph the kids as they meander. Don’t feel that you need to photograph faces – sometimes beautiful family photos simply capture togetherness. 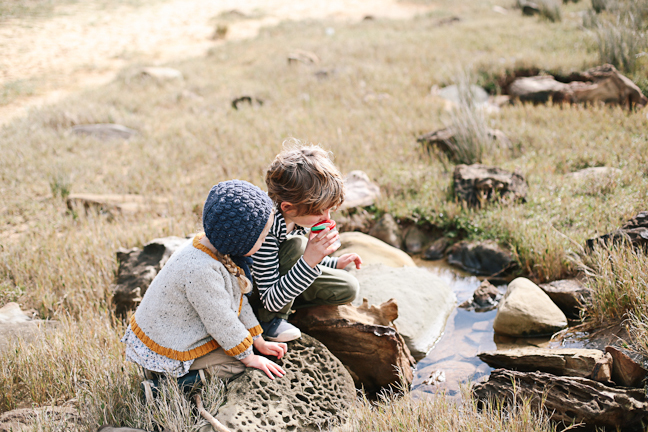 Explore the rock pools – when the tide is low, the rock pools can be a treasure trove of nature’s delights. 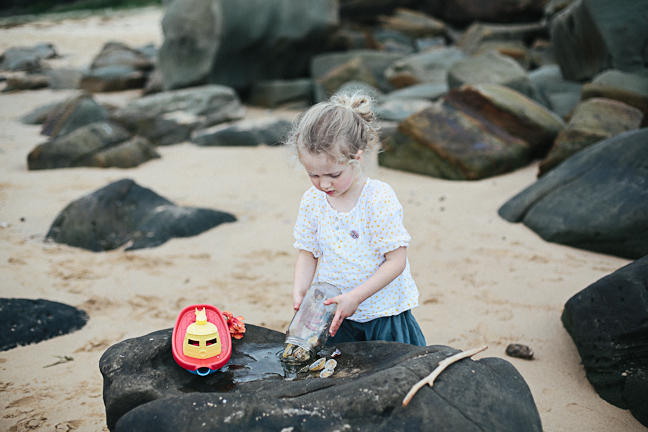 Kids love climbing rocks, splashing in shallow water and searching for sea creatures so leave them to it and follow close behind, your camera in tow. If they find something special, photograph them with their treasures – it’s a gorgeous way of capturing emotion – delight, wonder and pride. Don’t be afraid of cloudy weather – sometimes cloudy days are the best for exploring the beach – there’s less people and you don’t have to be too concerned about the effects of the sun. When it’s cloudy the sea looks much darker which can make for some dramatic shots. 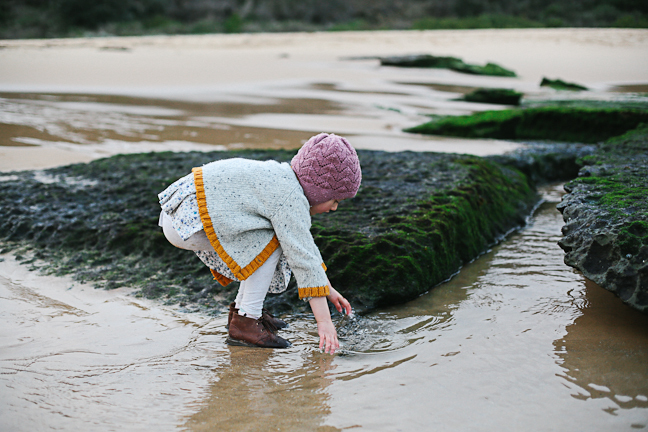 Wintry beach shots can be just as lovely. Baby’s first swim – taking your baby to the beach for the first time is a wondrous experience. The sand and the salt and the sea is an assault on the senses and his reaction can be priceless. 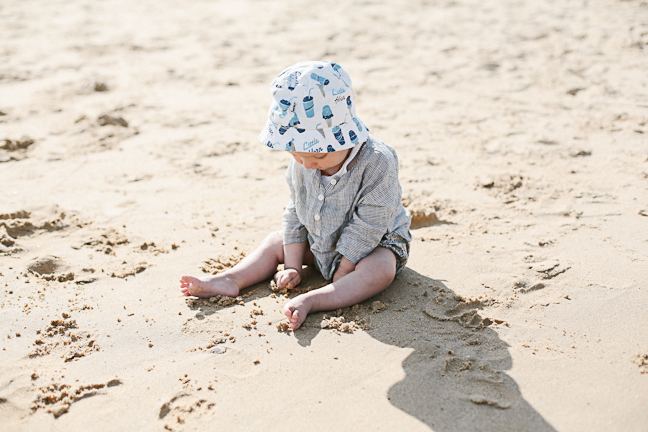 Make sure you get nice and close to capture his facial expressions and of course, get that shot of him eating sand for the first time – it’s a rite of passage. Choose a beach with interesting features – if you’re intent on capturing some really special photos at the beach, choose a beach that has more than just sand and sea. Go a little further afield and you’ll discover that some beaches boast a myriad of perfect photo backdrops – dunes, rocks, seagrass, mangroves, beach huts and, if you’re lucky, a jetty (particularly at low tide). 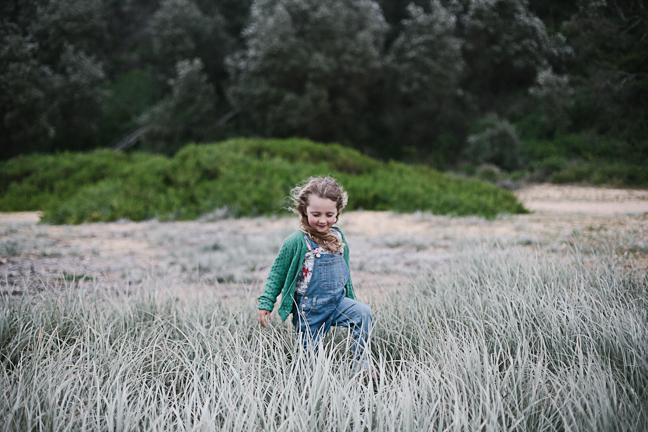 Do you like to photograph everyday family moments?